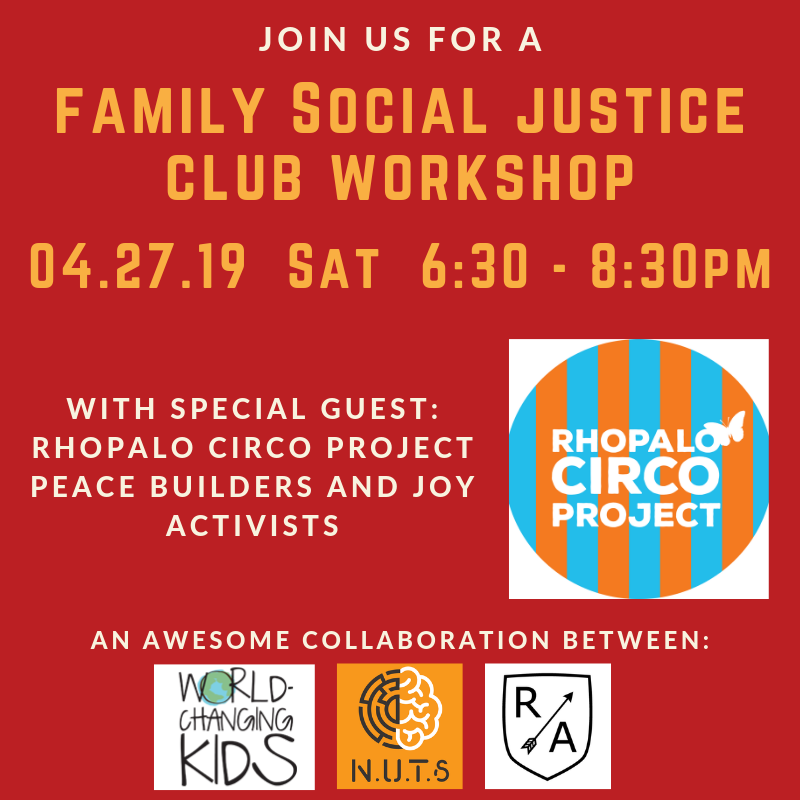 We are holding our 3rd Family Social Justice Club Workshop on Saturday, April 27 at the Revel Academy, in collaboration with NUTS Indoor Obstacle Course. Our special guest for this workshop is the Rhopalo Circo Project. This awesome group is traveling to Greece to bring play therapy to Syrian children in a refugee camp there. I shared this video years ago – so I was already well aware of the powers that play and wonder and delight have on making things a little bit better for children in refugee camps. When I heard that we had a local circus group going to Greece to spread this same love – I knew that I wanted to be involved! For our group Act of Kindness for this workshop, we will be making puppets to gift to the Rhopalo Circo Project to take to the children in Greece and to use with them to bring joy and fun to their lives. This will be a beautiful, special, heartwarming event. I would love for you to join us.